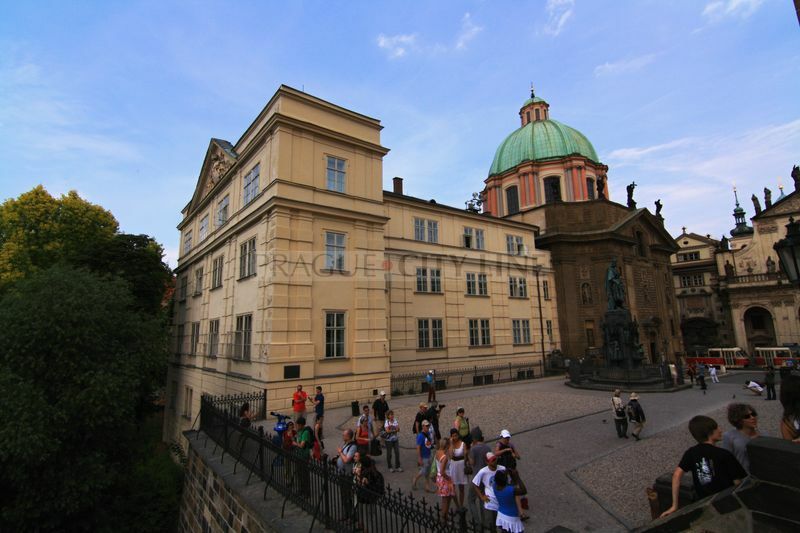 Walking through the Prague Old Town along the right embankment of the river Vltava close to the Charles Bridge we will get to Křižovnické Square. 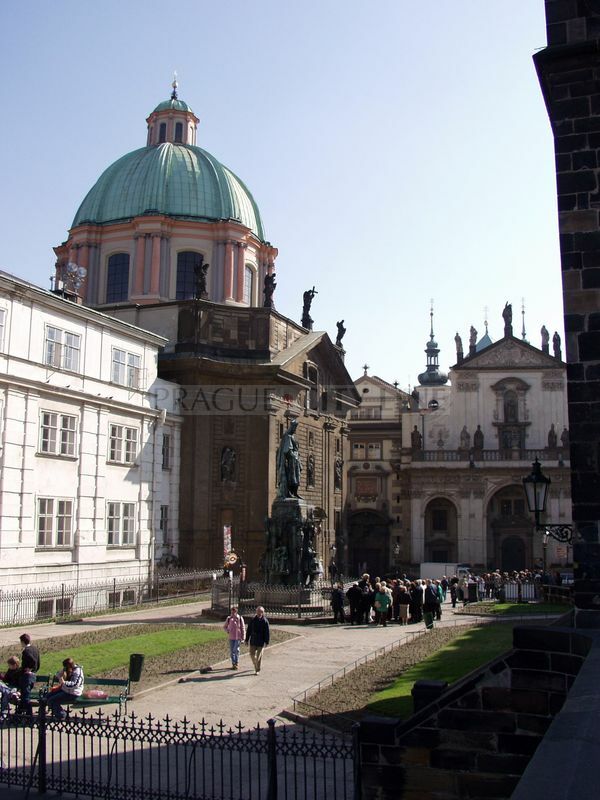 It is one of Prague´s smallest squares and we can find it on the track of the Royal Coronation. 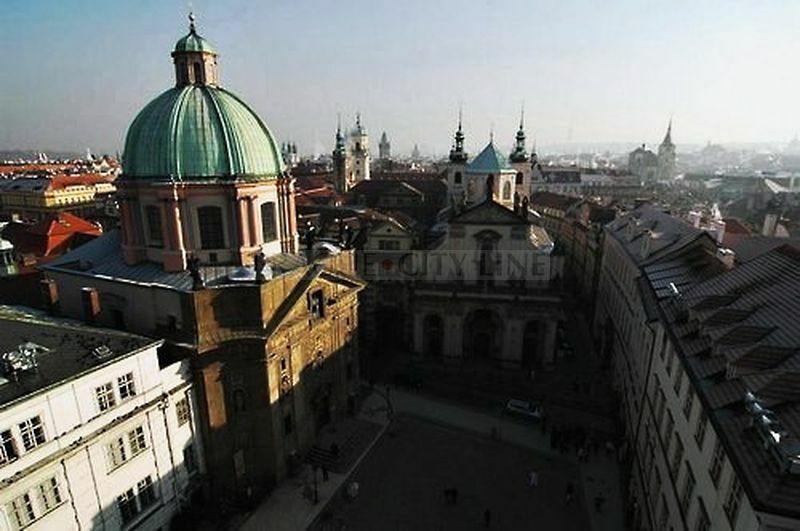 As mentioned before, it is one of the smallest squares in Prague with its premises surrounded by plenty of buildings. In the northern part the square is lined by the Church of St. Francis of Assisi. All tourists are attracted by the face of the Church of the Holy Savior in the eastern part of the square. 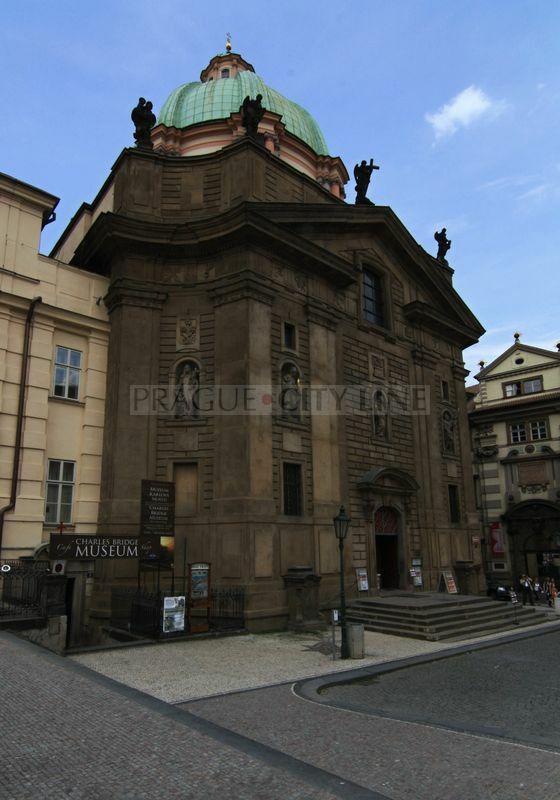 This church is nowadays a part of the Prague Klementinum premises. There is a tram line and a local road in this part of the square which leads along the building of the Karlovy Lázně („Charles Spa“). 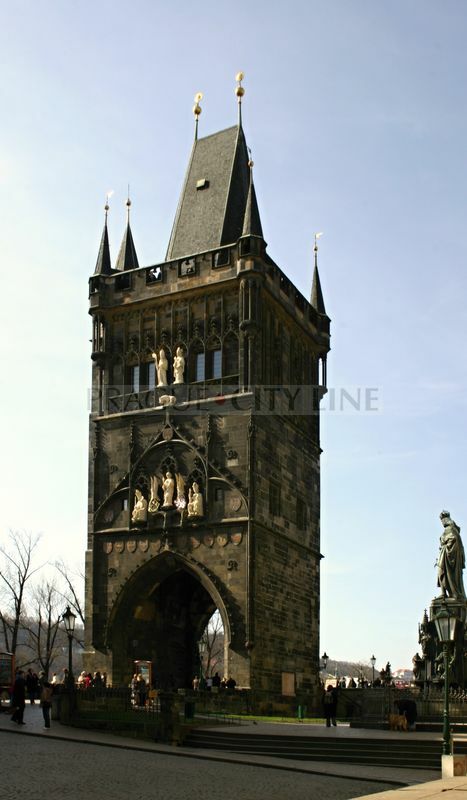 However, the greatest view point is the Old Town Bridge Tower which will lead the visitors right towards the Charles Bridge. The tower is considered one of the most beautiful European Gothic constructions. The tower and the bridge were built together thank to the architect Petr Parléř. It is a kind of a triumphal arch. The decorations are very interesting, too, and you can take a look at them from Křižovnické Square. The ornamentation on this side is divided into four floors. Smaller console sculptures have survived in the lowest part. You can see the extant heraldries of various historical countries dominated by the Luxembourg dynasty in the floor above. 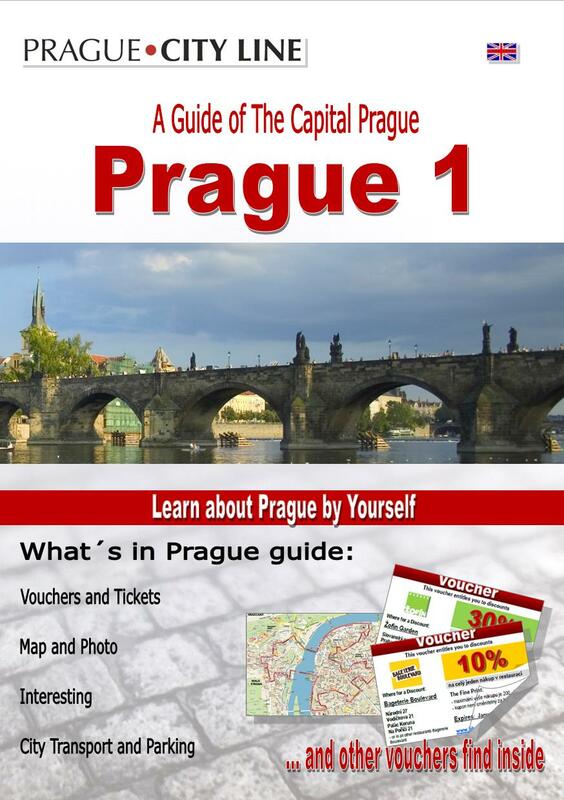 The original town symbol of the Prague´s Old Town is also to be found there. There´s a trinity of the Gothic statues a bit higher. 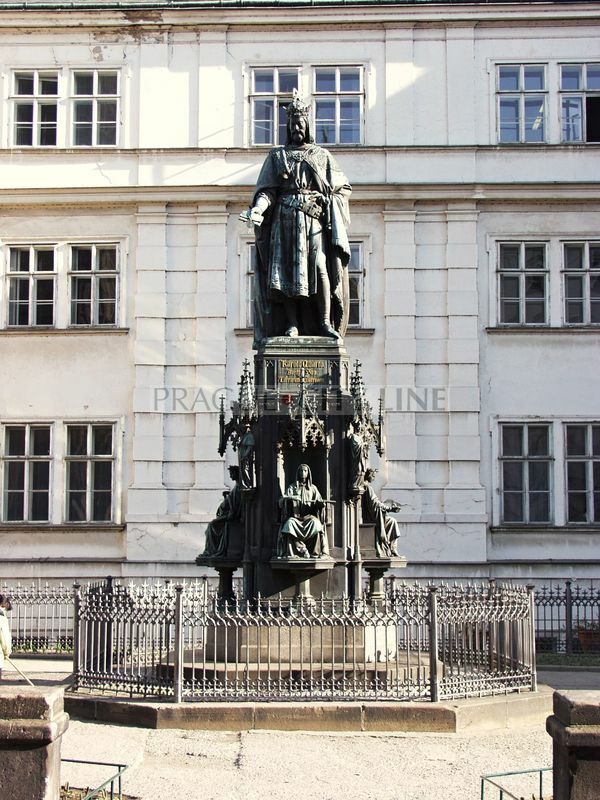 On the left you can see the Emperor Charles IV., St. Vitus on his side and the Roman King Wenceslas IV. There´s a heraldry with the Eagle of St. Wenceslas. St. Adalbert and St. Sigismund who have a statue of a lion beneath their feet look down from the second floor. 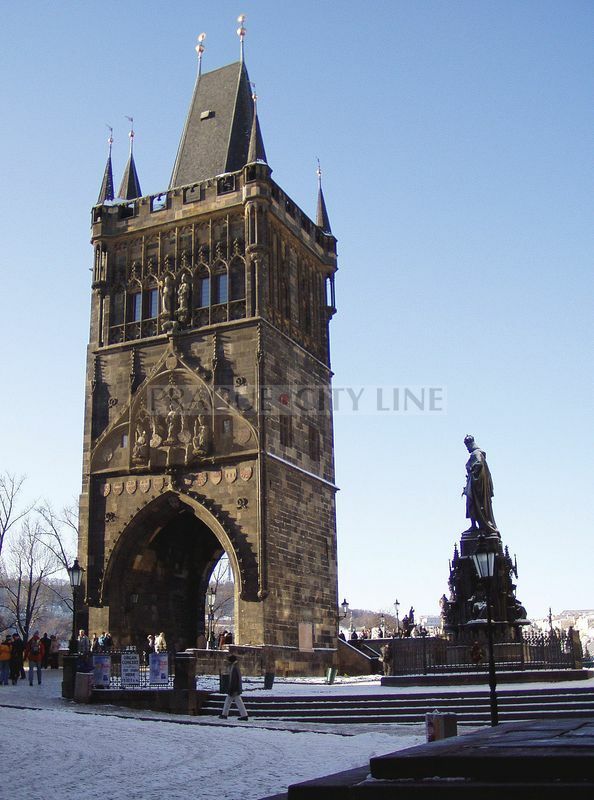 Beside this tower we should not miss the New-Gothic monument of the Emperor Charles IV. from the workshop of the Dresden sculptor Arnost Hähnel. The monument is unique because it was revealed in 1848, i.e. at the 500 year anniversary of the Charles University´s foundation. The square was rebuilt the same year and got the appearance we know today. The original square was enlarged and the remains of the arches from the Judith Bridge were covered. The name of the square is derived from the order of the Knights of the Cross with the Red Star who resided in the nearby monastery. The order took care of the Judith Bridge where they collected toll until 1342. There used to be a vineyard office in the past whose existence is documented by the column with the statue of St. Wenceslas in the North-Eastern part of the square. 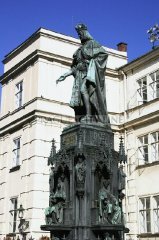 According to the extant records the stone paving at the column is the oldest one in Prague. The brickwork on the monastery of the Knights of the Cross is supposed to contain the previous bridge tower of the original Judith Bridge. Beneath the level of the contemporary square the original access pavement with original paving, too, is said to be found. Krizovnicke Square (Křížovnické náměstí) 50.086121, 14.413966 Krizovnicke Square (Křížovnické náměstí) Walking through the Prague Old Town along the right embankment of the river Vltava close to the Charles Bridge we will get to Křižovnické Square. 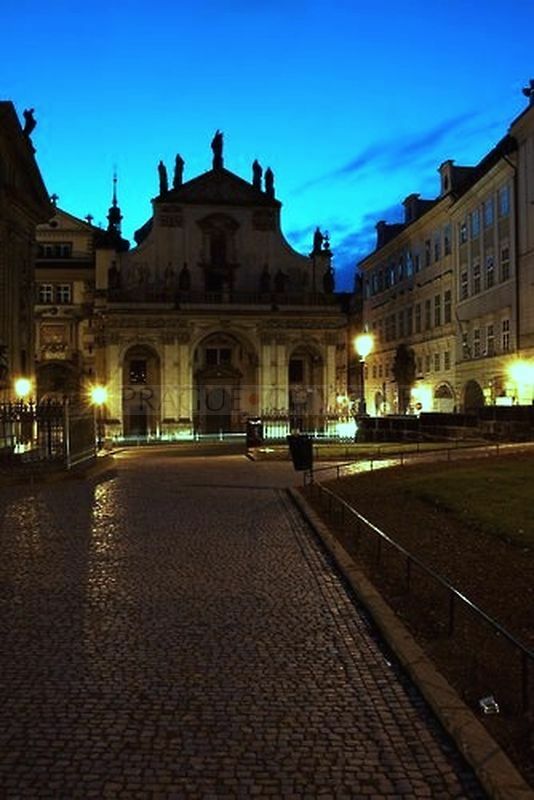 It is one of Prague´s smallest squares and we can find it on the track of the Royal Coronation.